Perfect clarity for this simple resume. The candidate prioritizes the content, we love it! CV template to download "Active"
The Active Resume has a clear and simple design that perfectly presents all the information written in your CV! 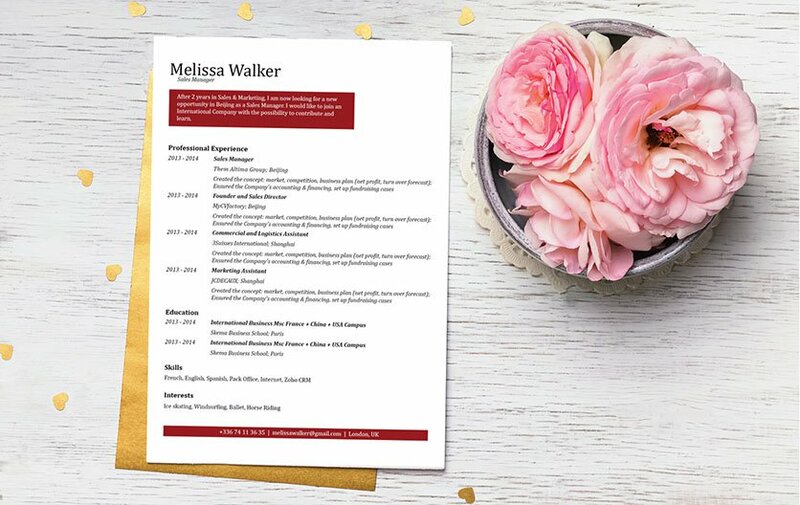 This downloadable resume template has such a well-organized format that will exemplify how you prioritize all the content in your cover letter. Professional and educational background is written in a comprehensive manner that makes this resume a perfect fit for any type of job! So if you've been searching for an effective resume template, then the Active resume is just for you! Having a clear and comprehensive resume format is a sure step in attractive the attention of your potential employer. This will effectively make your resume more eye-catching and increase your chances of landing the job! 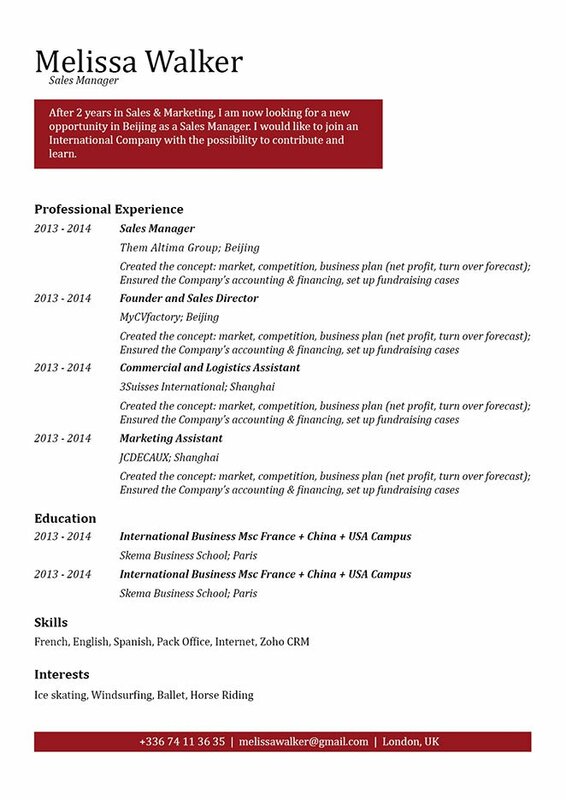 To create a comprehensive and effective resume design, use simple yet professional looking fonts (e.g. Helvetica and Calibri), choose a font size between 11 and 12, and use italic/bold font styles to guide your reader through your CV. For the content, only include information that are most relevant to your over-all job search objective. Remove any negative or irrelevant pieces of information that don't necessarily add to your argument (e.g. why you should get the job).